Click the MixCloud tab to hear another Cosmic Jazz mix of mainly contemporary tunes, but with two jazz classics that are nothing less than essential listening. There is often a link between CJ shows from one week to another and so it was this week. We began where the last one ended with some of the exciting new jazz coming out of London right now. Jazz Re:freshed is one project – and it’s an apt term, with a scene across the UK that’s totally re-invigorated. If you can, check out the two day festival of such music at this year’s Field Day in London. This week CJ featured keyboard player Joe Armon-Jones and his contribution to We Out Here, the new Brownswood compilation. It’s no surprise that Boyd Moses and Nubya Garcia – whom we played last week – show up on this tune too. Armon-Jones will have his first album out in May. Called Starting Today, you can check out an extended live Brownswood Basement version of the title tune right here. The first of the wonderful classics came from the Koichi Matsukaze Trio, actually a quartet in this instance as a pianist is added to the alto sax/flute, drums and bass of the trio. It is to be found on a new BBE compilation, J-Jazz Deep Modern Jazz from Japan 1969-1984. The whole record is full of tracks never before released outside Japan and the Matsukaze tune Earth Mother with its spiritual, deep, modal vibe is perfect for Cosmic Jazz or any jazz lover. It’s one of those tunes you must have. [Neil writes] The cover art is interesting too – it’s all taken from a website that documents the vanishing world of the jazz kissaten, the Japanese coffeehouse or bar (see photo above). The jazz cafe culture in Japan grew organically in the years after WWII as shops where fans could gather and listen to the latest records from the United States. Imported records – let alone turntables and speakers – were a luxury few could afford as Japan recovered from the war years. The act of going to a cafe and listening to a new release in a social, group setting became the norm for a generation of Japanese jazz fans. At its height, areas like Shibuya and Shinjuku in central Tokyo had dozens of these cafes and bars. 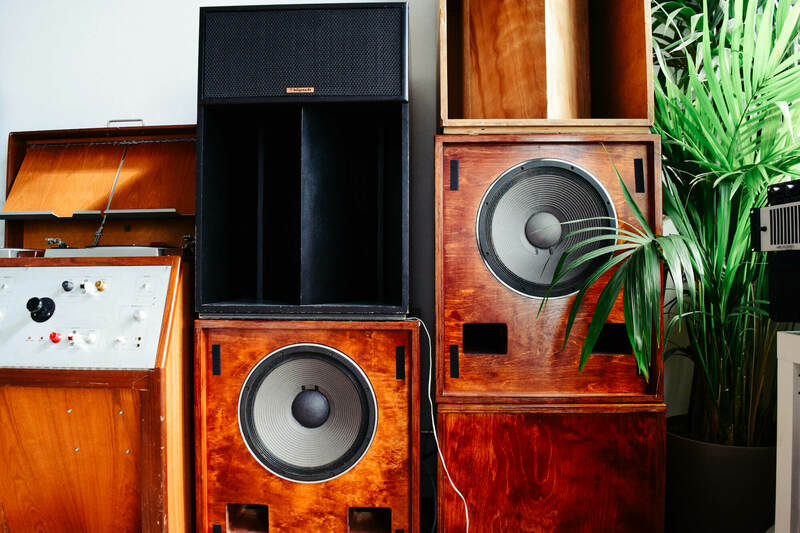 Many of these places specialised in playing the new jazz releases on high quality vinyl hifi systems and the vinyl revival has sparked an interest in such venues around the world. Whilst there are still over 100 such jazu kissa in Tokyo alone, London now has two of its own – both worth visiting. Spiritland is located in the redevelopment behind King’s Cross Station while Brilliant Corners is in the hipster’s heartland of Dalston. You can explore this unique world at the excellent tokyojazzjoints website and there’s a fine feature with some atmospheric photos on the Resident Advisor website. Singapore had its own jazu kissa until recently – the excellent Long Play in Arab Street. One of my first jobs in the city was archiving all the vinyl purchased over the years by the owner, restaurateur Geoffrey Eu. The Long Play site is now a new (and excellent) Japanese restaurant but Geoffrey hopes to reopen another jazu kissa venue soon. Neil encouraged me some weeks ago to play a tune he sent me from the recent album The Centennial Trilogy by trumpeter Christian Scott aTunde Adjuah. It is a tribute to the American jazz tradition but also draws upon the legacy of fusion, in keeping with many contemporary artists as we noted last week. The tune Encryption features the young flautist/vocalist Elena Pinderhughes. Already, she has played with such as Hubert Laws, Kenny Barron, Esperanza Spalding, Ambrose Akinmusire, Vijay Iyer, Santana and Marcos Valle. Quite an impressive and varied list. We shall follow her. Kasia Pietrzko is a Polish pianist, another of the many exciting young musicians emerging from Poland. She trained at the Katowice Academy of Music and also studied in New York City. She is inventive and, in her words, the trio “concentrate on overall sound and the most important being emotions”. Certainly there are quite a mix of emotions in the tune Brown and the title of her debut album – Forthright Stories – signals her approach. One of the very great pianists provided the next tune. Andrew Hill is someone we used to play regularly. He is always interesting, challenging and unpredictable. It is time to re-visit his music and for no other reason than his music is truly essential I shall make April 2018 the Cosmic Jazz Andrew Hill month with at least one tune on every show throughout the month. This week it was Passing Ships, the title tune of his 1969 album. It’s a beautiful, delicately and sensitively played piece recorded with many favourite Blue Note stalwarts including Ron Carter, Julian Priester, Woody Shaw, Lenny White and Joe Farrell. The alto sax player Fredrik Kronkvist appeared on the show last week. He was back again this week but in a different context. He released an album in 2017 entitled Afro-Cuban Supreme to celebrate the centenary of Dizzy Gillespie – and very good it is too. There are fellow Swedish musicians on the album, Miruiam Aida and Martin Sjostedt, who featured last week on the show, along with Cuban conga virtuoso Eliel Lazo, Jason Marsalis from the USA on drums and Johnny Aman on bass. Their version of Manteca, which was played and co-written by Dizzy Gillespie, is superb and is one of those covers that brings a contemporary feel to a well-established tune. The show ended with another musician who travelled from her home country to make Latin Jazz music. Canadian soprano sax/flute player Jane Bunnett has had a 25 year association with Cuban musicians on her excellent Spirits of Havana album. This 1991 recording is now available as a double CD with her 1997 recording recording, Chamalongo, and confirms Bunnett as one of the greatest non-Cuban interpreters of Afro-Cuban music. This reissue is surely another essential purchase for CJ listeners.